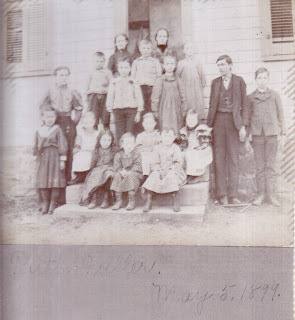 On December 5, 1888, a little girl was born to a farming family in Ohio. They called her Ruth. She spent her growing up years in Ohio and Montana, where she graduated from high school. Her mother died when she was about eighteen, and about that time she started college. She spent a year and a half at the local college before switching to Moody Bible Institute. Later, for four years, she taught school. Eventually, shortly after her father died, she headed to Africa as a missionary. This didn't come out of a vacuum; she had two uncles who were overseas missionaries, and her parents had moved to Montana in order to do missions work among the native Americans. In Africa, Ruth served selflessly teaching and evangelizing. She was independently wealthy and had purposed to use what God had given her for the advancement of the Gospel unto places where it was unknown. After two years of serving singly, Ruth married a young man named Herbert Grings whom she had met when they sailed to Africa together. Together they continued to open new areas for the preaching of the Gospel. 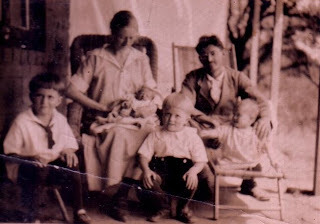 Over the next 14 years, Ruth and Herbert had six children, one of whom died of malaria. Consistently, for their seventeen years of marriage, this couple labored side-by-side to advance the Gospel whether in the Belgian Congo or in the United States. In 1936, at the age of 47, Ruth died of blackwater fever; she left a witness even in her death. Those who saw her family mourn saw that the Gospel which they preached was good, not for this life only, but also for the one to come. 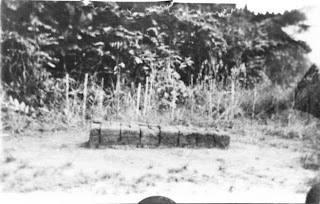 What does it matter if her grave was just a hollow log covered by dried bricks? In eternity, her life is safe with her Savior, and she will sing with those whom she helped to tell of the Lamb who had died for their souls.